Covenant marriage is legal in three states: Arizona, Arkansas, and Louisiana. In essence, it really does two things: makes it harder to get married, and makes it harder to get divorced. With full knowledge of what this commitment means, we do hereby declare that our marriage will be bound by Arkansas law on covenant marriages, and we promise to love, honor, and care for one another as husband and wife for the rest of our lives." (5) The spouses have been living separate and apart continuously without reconciliation for a period of two years from the date the judgment of judicial separation was signed. In sum, unless there has been adultery, a felony or abuse, you have to wait for two years of separation. In the meantime, you can get a judicial separation (which may come with some spousal support). In my experience, people are often wearing rose-colored glasses when they enter into a covenant marriage. They are in love and assume that they always will be. I have seen covenant marriages completely fall apart in a matter of months, only for the couple to have to wait for two years in order to get divorced. My advice is to be very careful when entering into this kind of marriage. And if you're trying to get out of one, get yourself a good lawyer. #1 - Residency. To file for divorce, either you or your spouse must be a resident of the state of Arkansas and must have been a resident for at least 60 days before filing. That person must also continue to be a resident during the divorce proceedings. #2 - Time Frame. A common question from clients is, “How long does it take to get a divorce?” While there is no one answer, it will take at minimum 30 days, but it almost always takes longer. A less complicated divorce typically takes between 45 and 90 days. A complicated divorce can take several months, or even a year or more to be finalized. #3 - Grounds. To get a divorce in Arkansas, you have to prove that you have grounds for divorce. The most common ground for divorce is general indignities, which refers to your spouse treating you in such a way as to "render married life with them intolerable." The second most common ground is separation for at least 18 months. Other grounds include incarceration and adultery. Arkansas does not have a “no fault” divorce. The grounds for divorce in Arkansas must be specifically proven or agreed to. #4 - Property. In Arkansas, we have what’s called “equitable” division of marital property. This means that the court will take all factors into consideration when dividing a couple's property, including the age and health of the parties, their income and employability, and the length of the marriage. The court will typically return property owned by each of the parties prior to the marriage, but not always. There is a lot of leeway in dividing property in order for the parties to negotiate. So do not assume that ownership of property will necessarily determine who gets the property in divorce. The court will attempt divide the parties' property as a whole as fairly as possible. #5 - Child Support & Alimony. As to child support, the non-custodial parent (with whom the child does not live) is routinely ordered to pay child support to the custodial parent (with whom the child does live). The amount of child support is set by the Family Support Guidelines and is determined according to the non-custodial parent’s income. Even if the parent doesn’t work, a certain amount is “imputed” or assumed to be their income. The judge can grant more or less child support based on the child’s needs. As to alimony, it is up to the court to decide whether alimony should be granted and how much. The primary factors the court considers are the need of one spouse for alimony and the other spouse's ability to pay. But the court will consider others factors too, such as the parties’ income, earning abilities, health, and the length of the marriage. When granted, the trend favors temporary, rather than permanent, alimony in order to help the spouse get back on their feet. 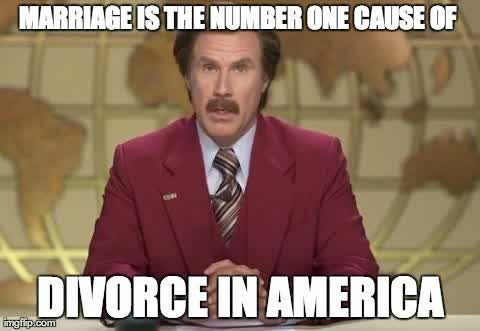 Every marriage is different, and so is every divorce. There are a variety of factors at play that could make a meaningful difference to you, now and in the future. Schedule a consultation with Leslie today and see how she can help you.